Hershey Cemetery, located one mile north of Hershey on Route 743 (Laudermilch Road), has been in use since 1918. With approximately 81 available acres, Hershey Cemetery is nestled among peaceful, rolling hills and quiet countryside. The cemetery itself is situated on a quiet hill, and offers large, mature shade trees, well maintained lawns, and a scenic view of Hershey and the beautiful surrounding Lebanon Valley. Office of the Hershey Cemetery, located at 100 Mansion Road East, Hershey, PA. Office hours are 8:00 AM to 5:00 PM, Monday through Friday. 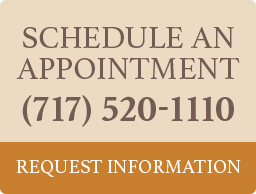 However, appointments to view specific locations can be scheduled by calling 717-520-1110.